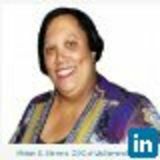 Miriam S. Stevens aka "The Brand Paramedic", is an online social multimedia network strategist. She works with entrepreneurs, special interest groups, and non-profits to develop a social media campaign, marketing strategy, and customer engagement blueprint. She offers this three-prong approach to successfully connect business brands with their clientele. As the creator of MsStevensPR.Com, Miriam encourages productive, one-to-one focus meetings to pinpoint a company’s vision, research their targeted audience, and develop the right implementation plan.